If you’re a musician with a disability it can be hard to make your mark, Getintothis’ Steph Niciu finds out more about a pioneering DJ course which is helping people do just that. Being a musician with a disability can make it tough for you to realise your ambitions. Well, Drake Music has made it their mission to change that. The national charity has had over 25 years of experience in making music and technology accessible to disabled people. The charity’s most recent project On the Go is a pioneering DJ course held in Manchester. In February, four producers were given the once-in-a-lifetime opportunity to work with MOBO nominated jazz bandleader and trumpeter, Matthew Halsall who is based in the city. Halsall’s current album When the World Was One was the winner of the iTunes “Jazz Album of the Year” 2014 and his work has been praised by the likes of Giles Peterson and Mr Scruff. On the Go was the brainchild of project manager, Abigail Ward. A DJ herself, Abigail had attended music production and sound engineering courses in the city but found that there was no way for disabled people to participate due to lack of access. She said: “I have done a number of music production and sound engineering courses in Manchester, but none of those were accessible for those who face disabling barriers to music. Many venues are still not even wheelchair accessible. So, On the Go was born. After receiving funding from the Big Lottery Fund, Abigail explained the main reason she got Halsall involved was because he had always expressed an interest in disability arts and was very keen to spearhead the project. The course’s name was inspired by his previous album. Abigail then teamed Matthew up with Drake Music’s associate musicians: Caro Churchill, Kris Gjerstad and Philip Hill, who helped her design the project. She went on to select the producers with an application process. Chosen to take part were Donna Wright, Glen Greaves, Gareth Hughes and Sarah Fisher. The producers worked with Halsall and his band for a week, learning the tricks of the trade from sampling, arranging, producing and performing. As well as this, they were introduced to new hardware and software, such as Albeton Live so they could develop their own unique sounds and compositions. While they honed their skills with the help of a top musician, the producers were eager to learn from each other, as Abgail told us at the time. The week ended in a showcase event for the producers at STUN theatre space at Z-arts in Hulme on Monday February 23. This provided the producers with an opportunity to perform what they had worked on with a chance for the audience to give them feedback. One of the producers, Sarah Fisher from Luton, was keen to share her experience of the course. Fisher, a 21-year-old music student at Sage Gateshead in Newcastle, explained that music was always a key part of her life. 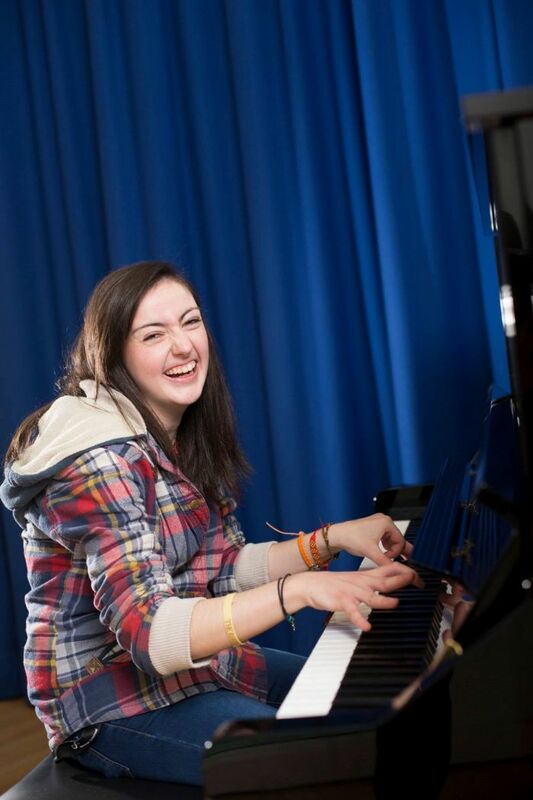 Sarah started playing the piano at the age of five and by fourteen, knew that she wanted to be a musician. Sarah, who has Cerebral Palsy, told us doesn’t let her disability hold her back. In fact, she said that the experience gained from the course will be used to help her to become a community musician, so that she can teach music to disabled people. An aspiration no doubt inspired by one of Sarah’s most memorable musical moments: performing as part of the 2012 Olymic Opening Ceremony in London. When we quizzed Sarah about the lack of diversity in the music industry, she was quick to share her thoughts, as well as what advice she would give to other disabled musicians. 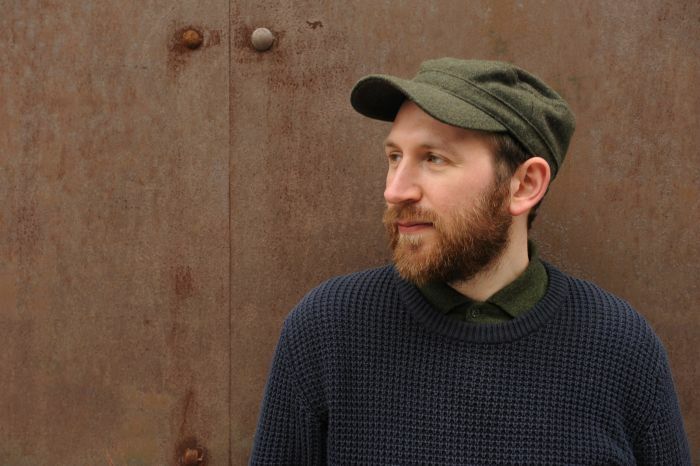 To find out more about Drake Music and Matthew Halsall visit www.drakemusic.org/ www.matthewhalsall.com.